When sitting down to a rousing game of Monopoly, one might daydream about opening the box to find the colorful fake money replaced with genuine bills. While that’s just a pipe dream for most of us, Hasbro – the maker of the iconic board game – is making it a reality for 80 lucky consumers…in France. NPR reports that Hasbro France cooked up the idea of exchanging the play money for real, hard cash as a way to mark the game’s 80th anniversary. 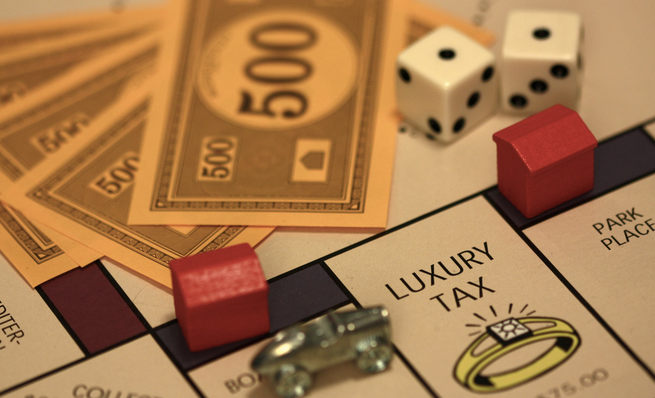 Only one of the special games will come with a haul equal to the entire monopoly bank: 20,580 euros ($23,498). The remaining 79 board games will include a variety of euro notes mixed with the standard, colorful Monopoly money. Gaillard says the operation to switch the fake money for real cash was carried out in secret at a small facility where the French games are packed. While finding the special boxes will likely be a challenge, the company placed stickers on 30,000 sets of the game announcing they may contain actual money. Additionally, Gaillard gave two hints to which boxes might contain the dinero: the real cash gives the Monopoly boxes a slightly different weight, and it makes the box bulge a bit. For those of us who aren’t planning a trip to France to search for the cash-packed games, Hasbro will release a special 80th anniversary edition that includes a range of game tokens from the past, including a lantern and bathtub.